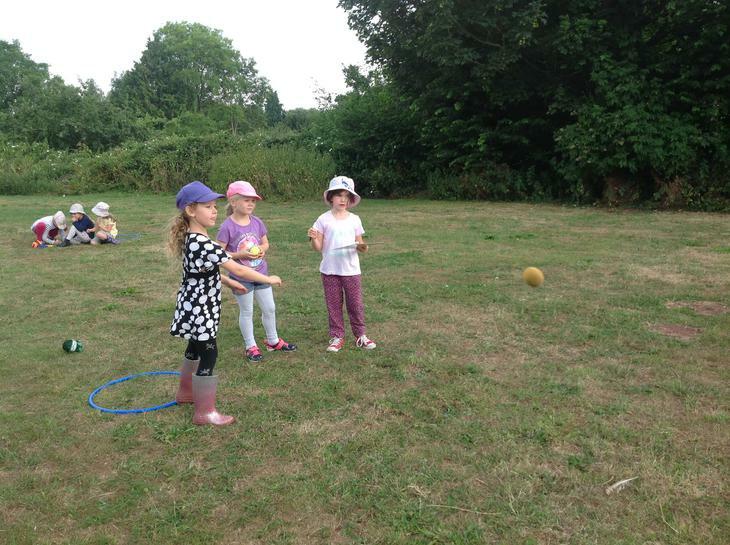 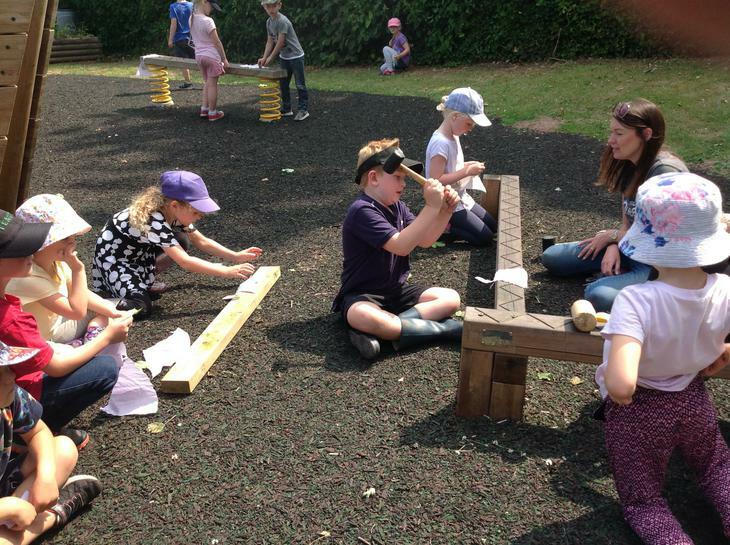 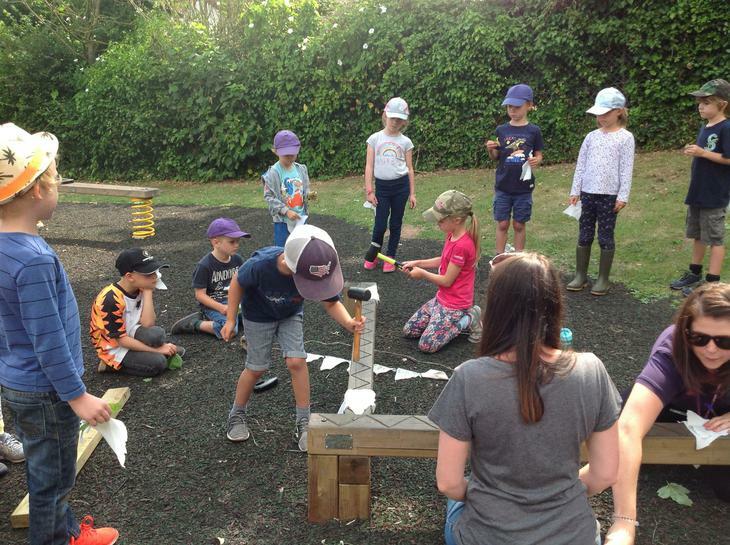 Stogumber Forest School and Water Fight! 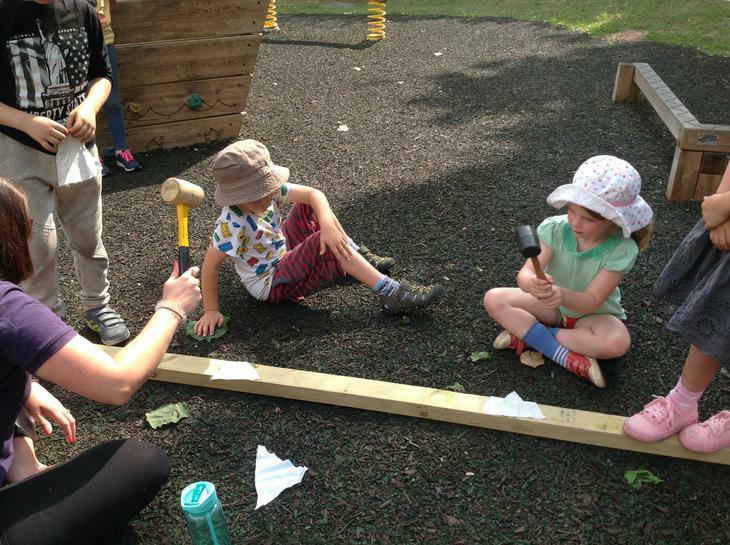 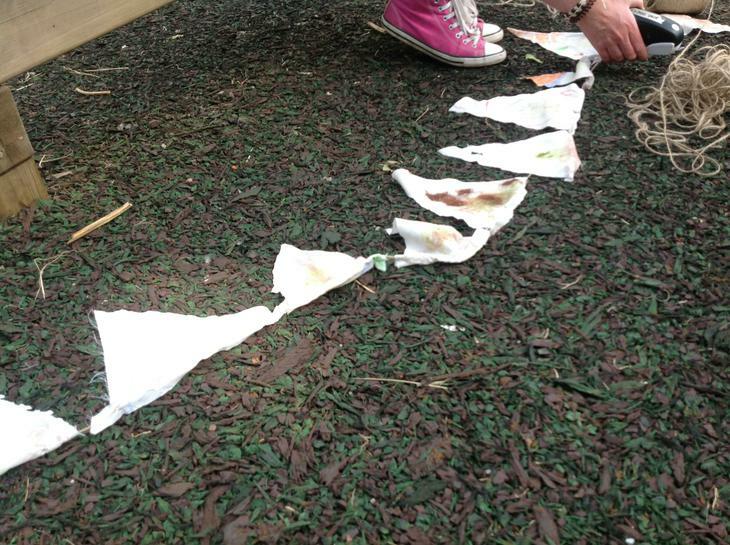 For our last Forest School session we stayed on site and had a bit of a "Bishy Bashy Bunting" bonanza, making bunting with leaves, fabric and camping mallets. 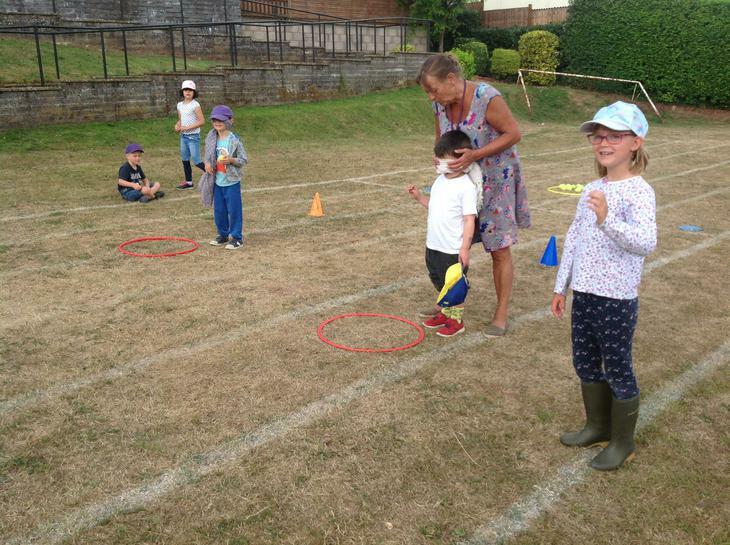 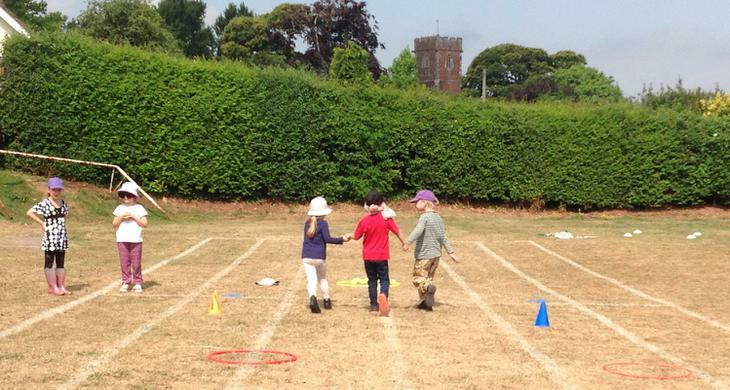 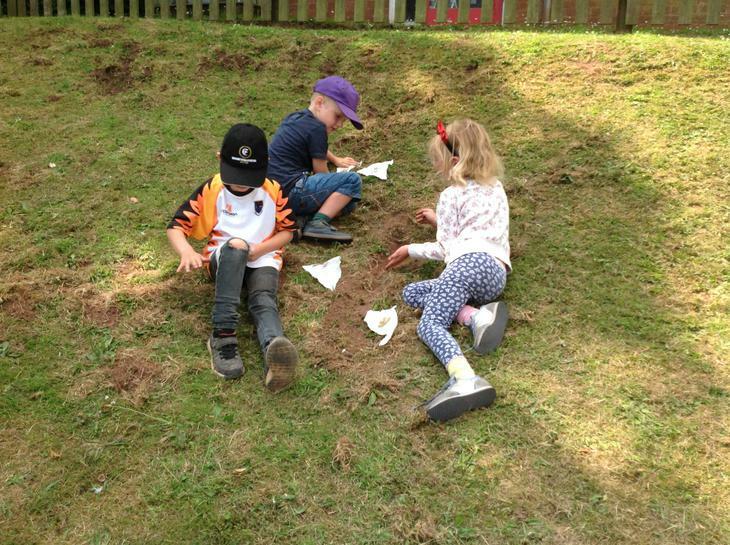 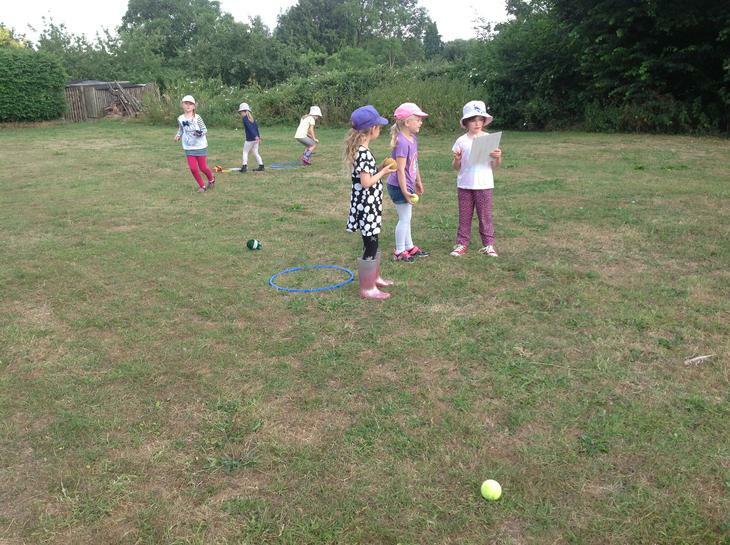 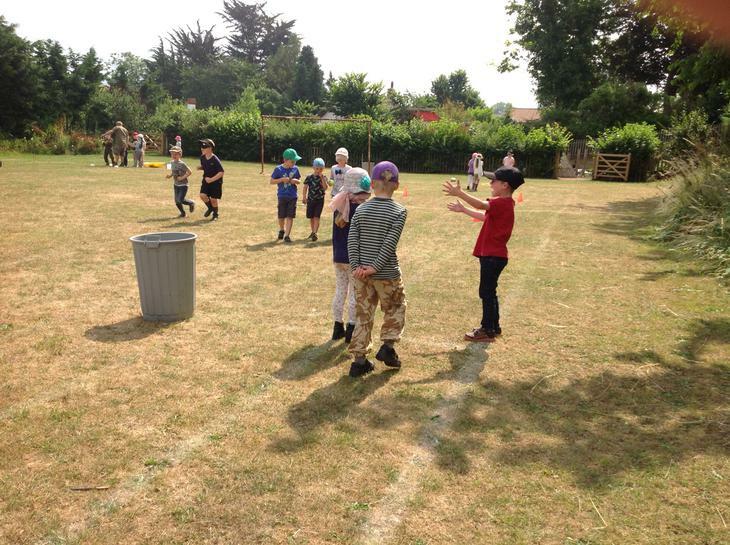 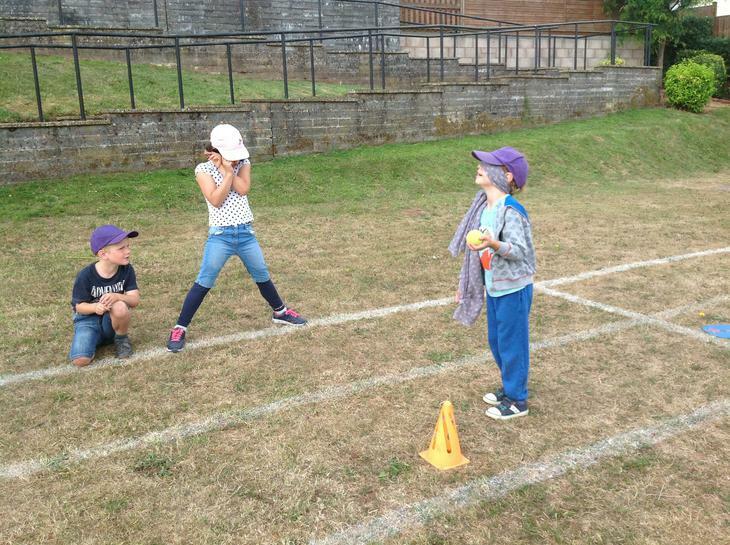 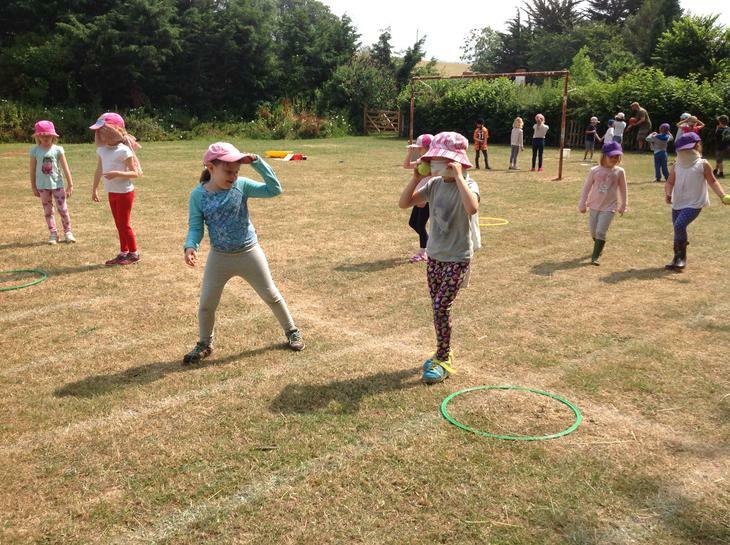 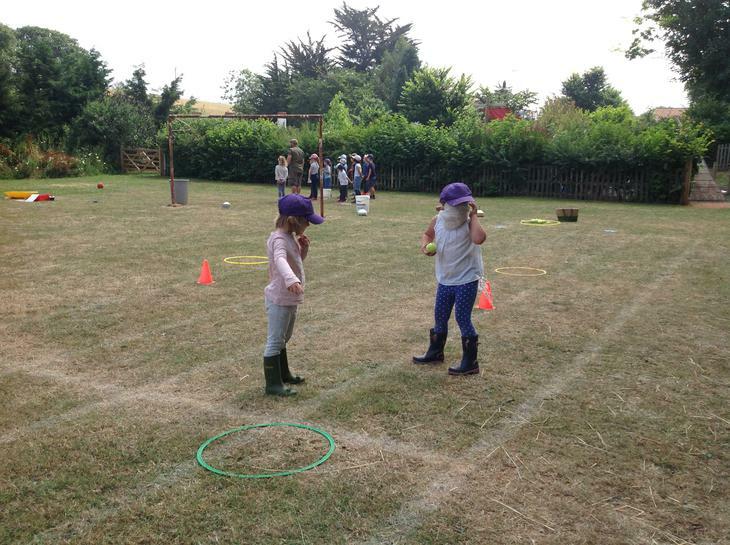 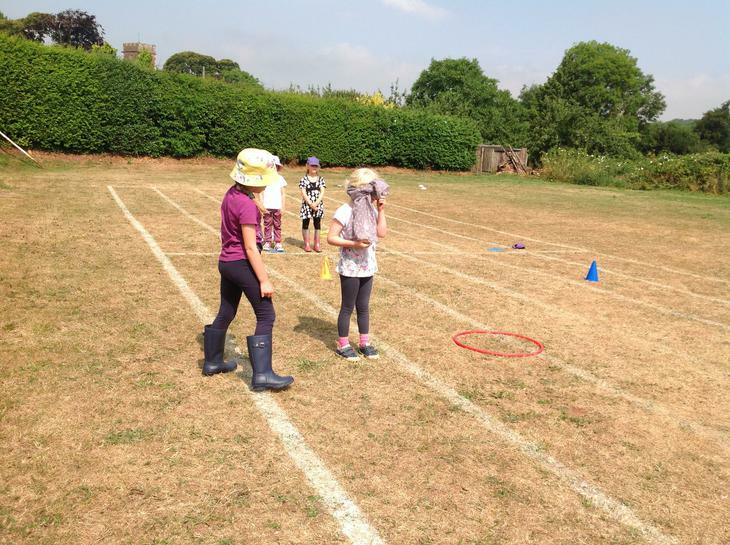 We also played "Throw Golf", trying to get our teams around the course in as few throws as possible, and we faced the "Blindfold Bomb Challenge", guiding each other through a deadly minefield of exploding cones! 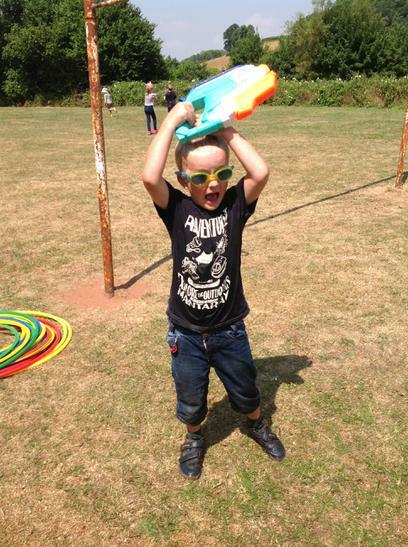 In the afternoon we all went out under the warm sun for a huge, whole school water fight. 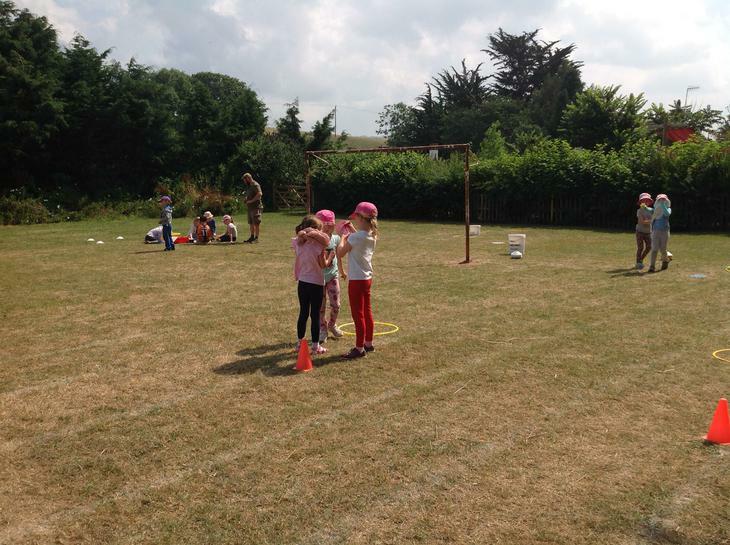 Even Miss Daly, Mr Wedderkopp and Miss Jenkins got soaked! 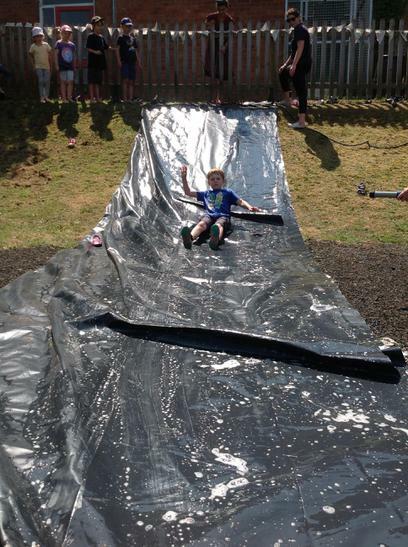 Miss Daly gave us a go on her massive water slide and some of us rigged up a water course of pipes and gutters to try and refill the school pond. 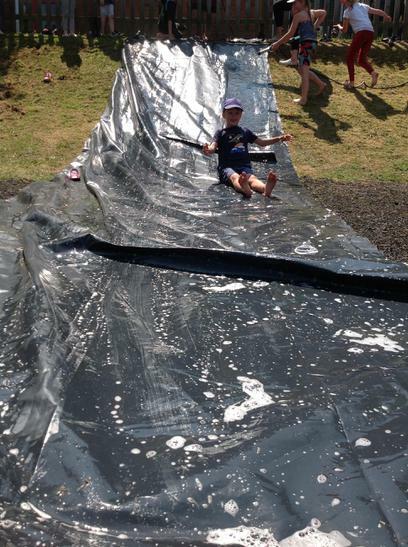 It was a super soggy afternoon, and a lot of fun!